Track what row you are on when you put the work down. You can use a pencil to tick rows off, or a post it note, or a magnetic board and ruler. Check your work frequently, you can more easily correct errors in the next row than you can many rows later. Count the number of stitches of each repeat on the wrong side, purl back row to catch errors. How to eliminate a bunny ear at the cast off edge end. Work cast off to the last two stitches, k2tog instead of working each stitch separately. Blocking makes all the difference to ensure stitch patterns show up in lace. It will improve the look of your knitting for most projects, especially those made from natural fibres. Start by soaking the knitting in lukewarm water for about fifteen minutes. Add a small amount of a wool wash. Remove most of the water from the knitting. Gently press the water out by rolling up the work in a towel and squeezing. Treat the work carefully, no twisting or wringing. Unroll the towel after about five minutes. Use stainless steel T pins to pin out the edges on a towel or blocking board. Start with the straight edges, for a triangle shawl it’s the top and the centre spine. Do the top edges first. Tug on the spine to make it perpendicular. Check to make sure these target areas are totally straight and securely pinned before working on the lower edges. Pin out decorative pointed edges. Gently stretch the work and move the bottom edges down again as it work relaxes. Adjust the level of stretch according to the fibre. Pull more firmly on 100% wool than delicate silk or cashmere. Do a second pass on the points of scalloped edges. Sometimes they need a little extra work because the horizontal stretching interferes with the points being pulled down far enough. Use a spray bottle of water to dampen the work at the edges only. On the final blocking move the points closer together to allow more pulling vertically. 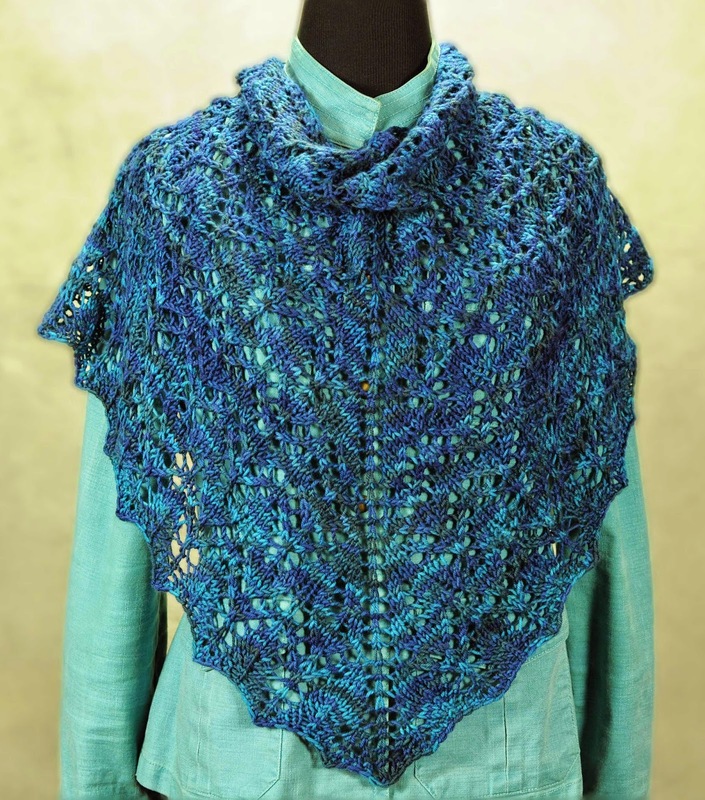 Just smooth the rest of the shawl away gently without wetting it or repining. Pin each point and then let the points dry again before removing from the blocking board. Read these notes again in 24 and then 48 hours to move the information from short term to long term memory. Watch for wandering yarn overs beside stitch markers. If they go astray, it can cause errors in stitch counts. Choose charted rather than text patterns. Knitters who use text stitch patterns struggle to learn to maintain stitch patterns while shaping with decreases and increases. Knitters who use charts never need the same amount of help to learn this skill. Chart knitters generally make fewer stitch pattern errors and find their errors more quickly. Ignore the “knitting police” you aren’t doing it wrong! You are doing it in a different way. Learn where you go wrong habitually and check for that error. I am most likely to accidentally drop yarn overs so I pay attention by looking at the shapes they create in the pattern. Make sure you review and understand what the chart symbols mean. Remind yourself lace knitting is economical. 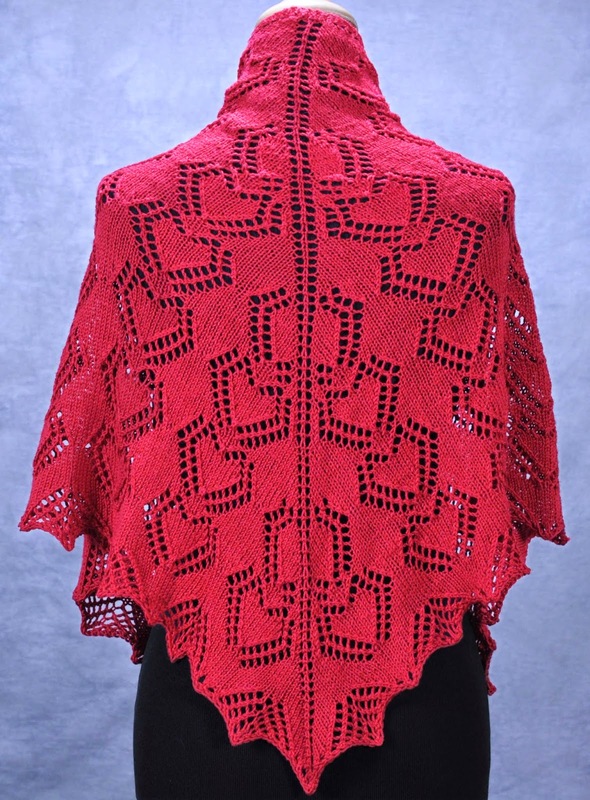 You can buy a lot of lace weight yarn for not very much money and have the fun of a project which will take you months to complete. That's a lot of knitting fun which ends with a beautiful finished project.